This 300 large piece jigsaw puzzle is designed by Irina Garmashova and measures 18" x 24". This 300 large piece jigsaw puzzle is designed by Robert Kaler and measures 16" x 26". This 300 large piece jigsaw puzzle is designed by Tom Wood and measures 18" x 24". 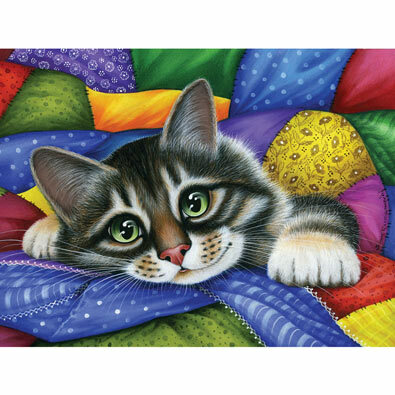 This 300 large piece jigsaw is designed by Nancy Wernersbach and measures 18" x 24".